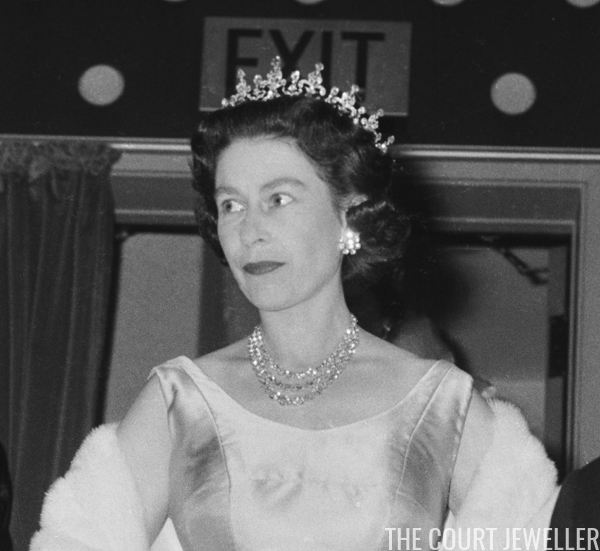 Of all of the sparkling necklaces worn by Queen Elizabeth II of the United Kingdom, the Diamond Festoon Necklace may be the most classic and elegant of all. Let's explore the history of this gorgeous piece, shall we? 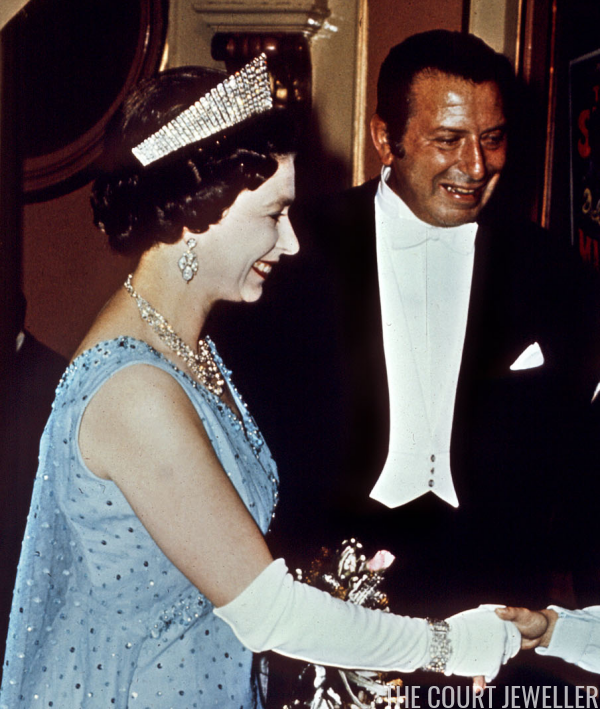 In 1950, King George VI decided to commission a new necklace for his elder daughter and heir, Princess Elizabeth. He loved to give jewels to the women in his life -- the Queen Mother's extensive Cartier collection is evidence of this -- and Elizabeth, who had just given birth to an heir and a spare, reaped the benefits. Although the King often bought pieces directly from firms like Cartier and Asprey, he turned to the family's jewelry vaults for the gemstones for this necklace. He directed Garrard, then the crown jeweler, to use 105 loose collet-set diamonds from the vaults to make this necklace. 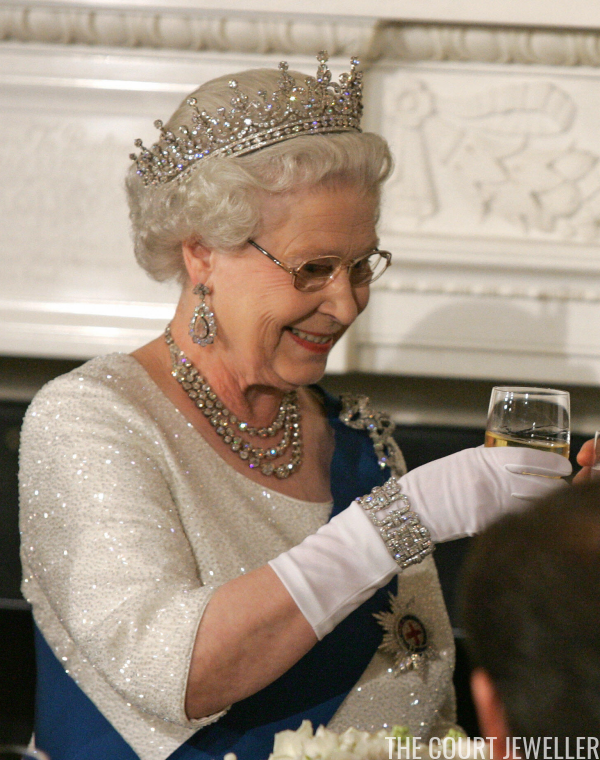 The diamonds had been earmarked as heirlooms of the crown by his mother, Queen Mary, in 1911. According to Hugh Roberts, Mary often use diamonds from the cache to lengthen her own collet necklaces. Roberts describes the resulting creation as follows: a necklace "composed of 83 brilliants in cut-down collets, the three largest cushion-shaped, set as three graduated chains suspended from triangular clasps at either side, pave-set with a further 22 stones, and joined by a single back-chain with clasp; the individual collects with old spiral links, fixed." 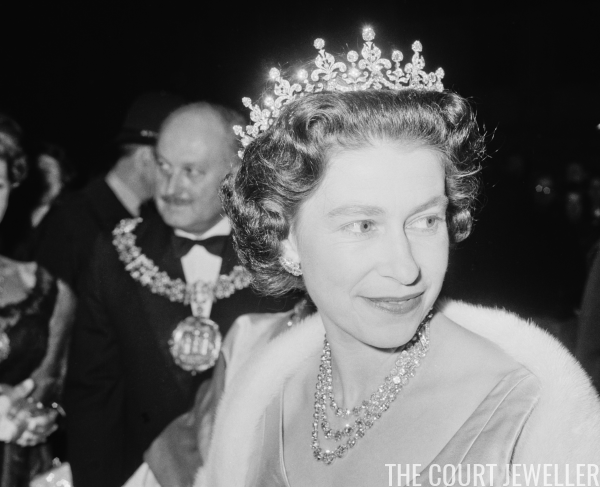 The original necklace was actually slightly larger, but in 1953, the Queen had Garrard shorten the piece by removing ten of the diamonds. 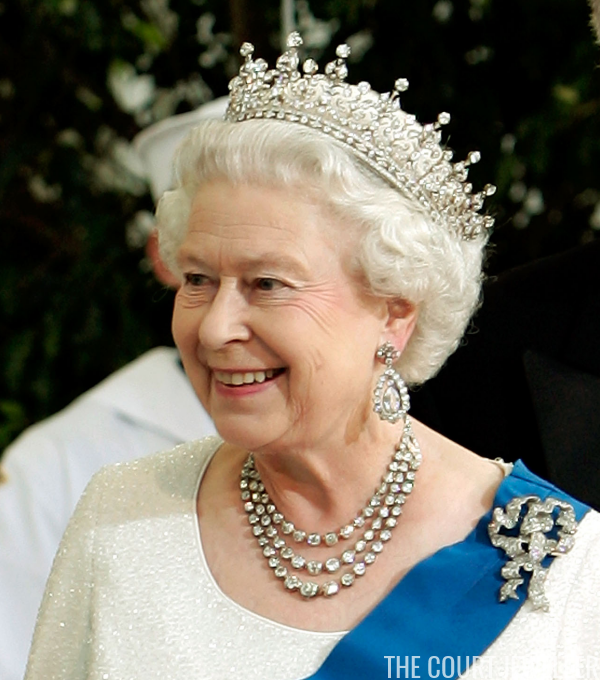 Elizabeth began wearing the new necklace right away, and she's continued to wear it throughout her long reign. She usually pairs the necklace with two of her all-diamond tiaras, the Girls of Great Britain and Ireland Tiara and Queen Alexandra's Kokoshnik.